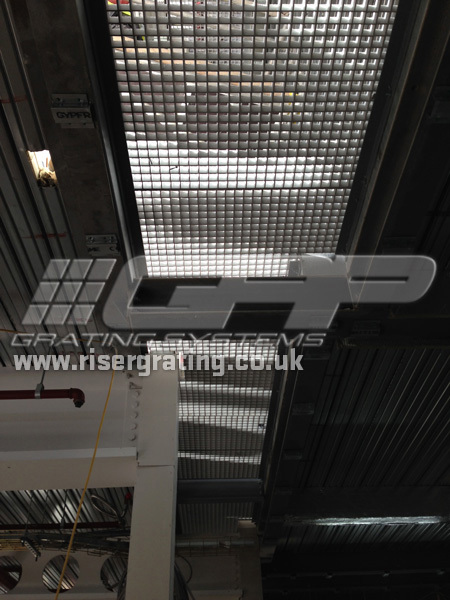 Every contractor knows that riser voids – the aperture left to accommodate M&E services on multiple floors of a building – are a major health and safety issue on any construction site. 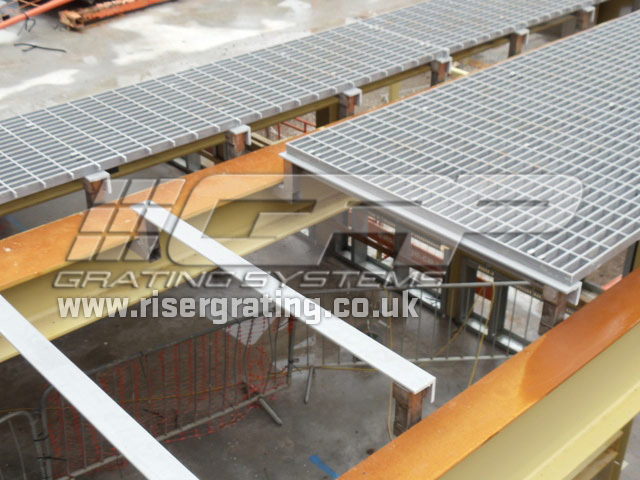 To influence the way the construction industry approaches the design, build and use of risers, our company has designed Risegrate. 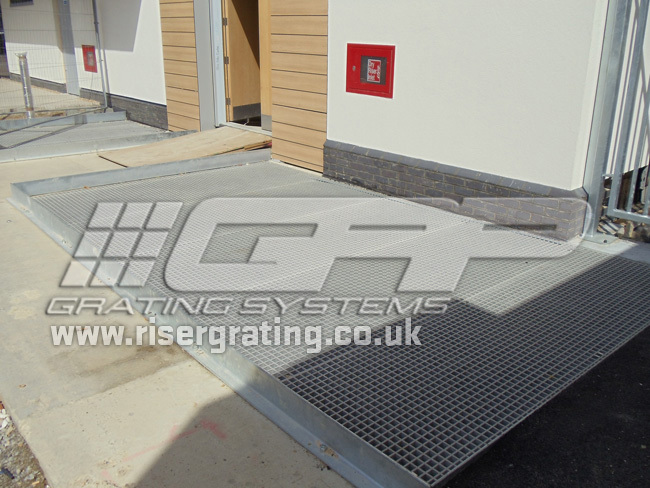 The product is described as Glass reinforced plastic, a 100% protective product that does away with previous systems, such as steel grating, scaffolding or temporary plywood covers, which can be breached, or fail. 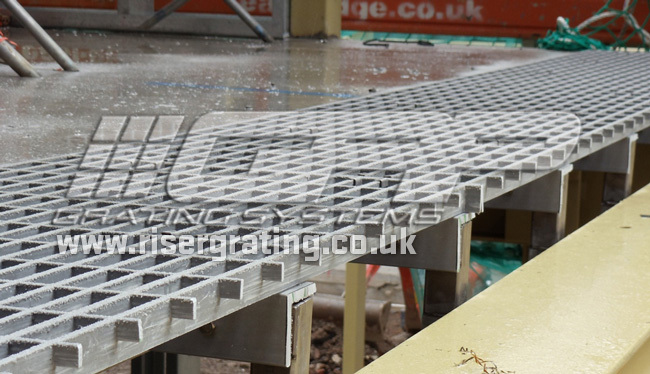 When M&E services are ready to be installed, the grating is easily cut using a jig saw to form the holes required for the riser services. 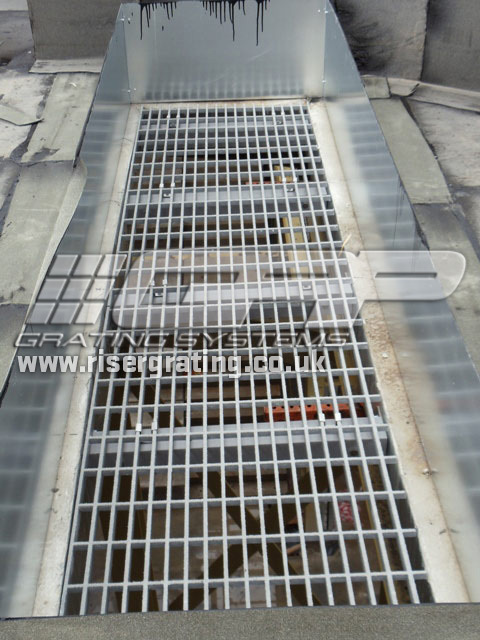 The use of Fibreglass Grating eliminates maintenance costs, since painting is not required. 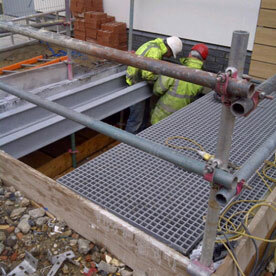 GRP Grating materials weigh about one quarter of steel grating, and two men can easily handle and fit the panels without the need for any equipment other than hand tools. 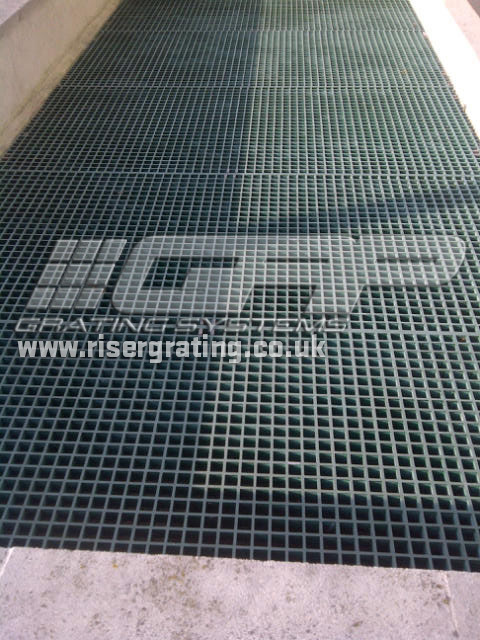 The one piece interwoven mesh construction of moulded fibreglass grating produces a product with optimal corrosion resistance and bi-directional strength. 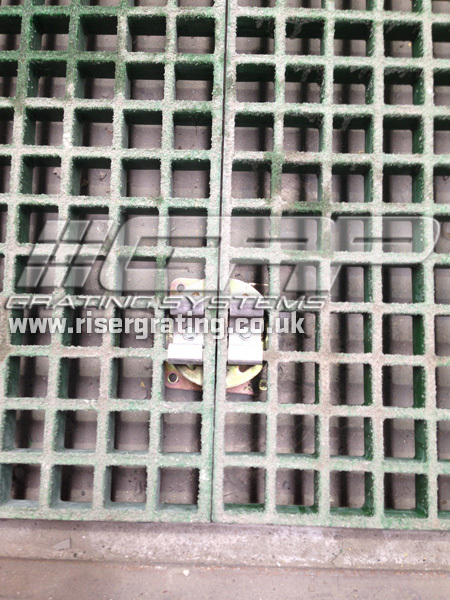 Since the fibreglass grating is "cast" in one piece, there is no mechanical joint between bearing bars. 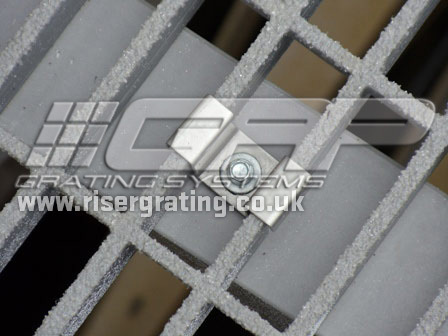 The high percentage of resin (65%) in moulded fibreglass grating offers superior corrosion resistance and optimal impact resistance. 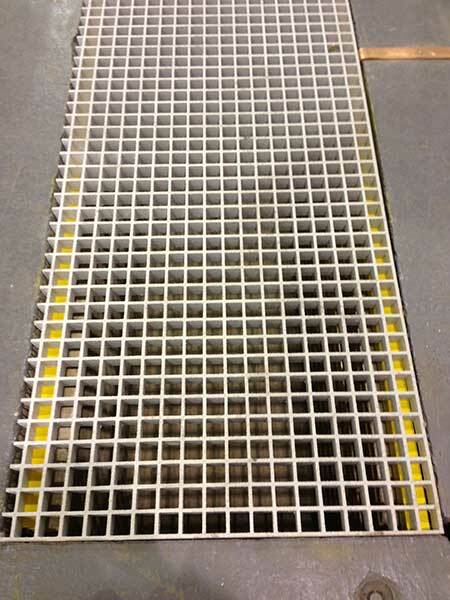 Moulded fibreglass gratings offer increased load capacity and panel utilization due to its bi-directional trait. 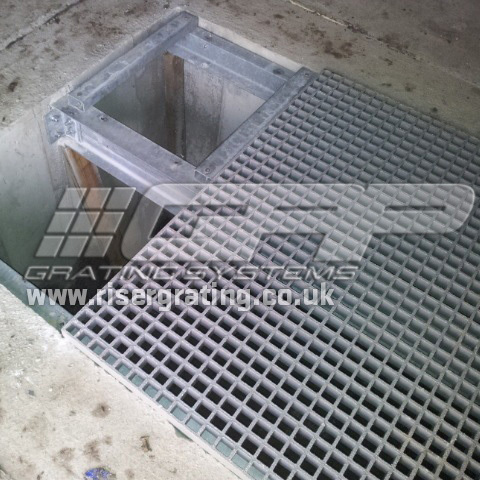 Fibreglass reinforced gratings are available in a number of mesh and panel sizes. 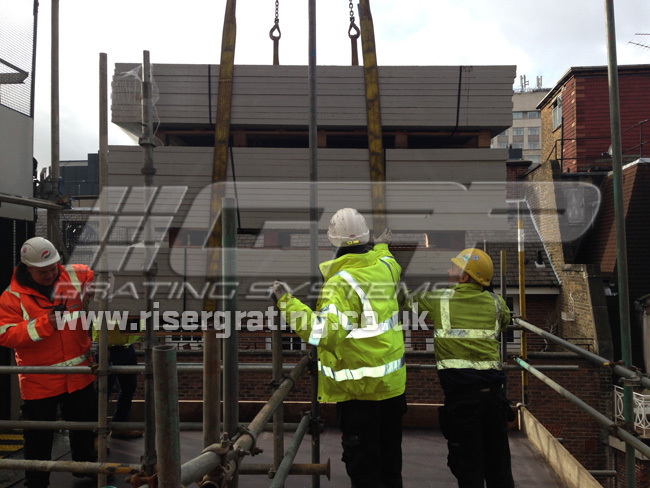 We carry stock of all sizes, colours and resin types. 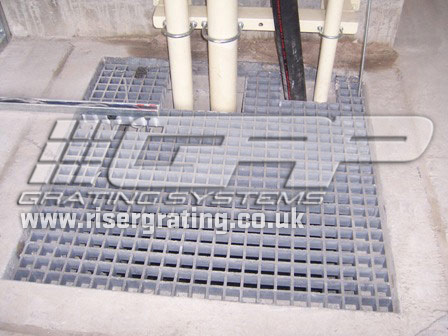 Each type of grating has specific properties and applications. Our sales staff would be happy to advise you on any application. 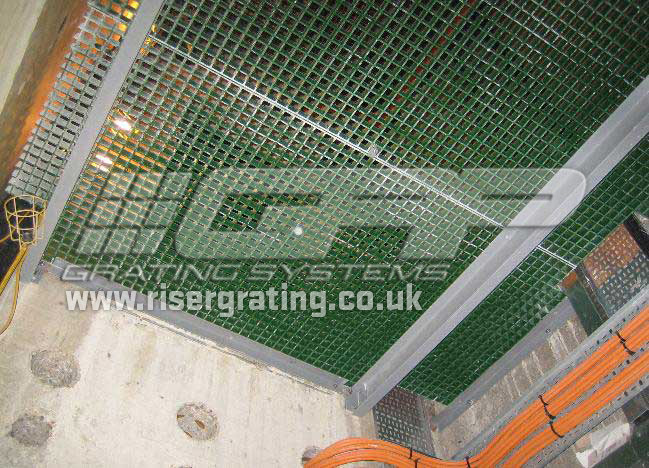 Don't compromise on safety around riser shafts…Contact GRP Grating Systems today on 0161 207 0012. 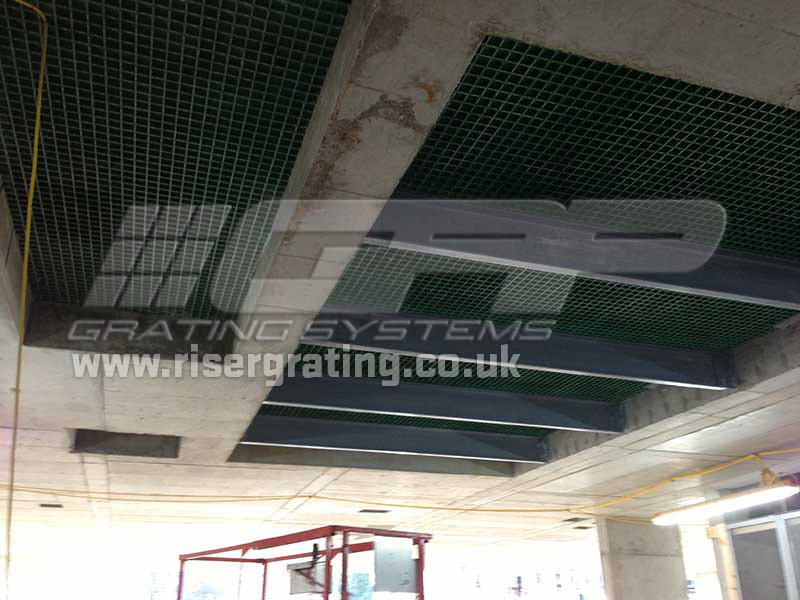 © Copyright 2019 GRP Grating Systems. Design by Neil Magee. 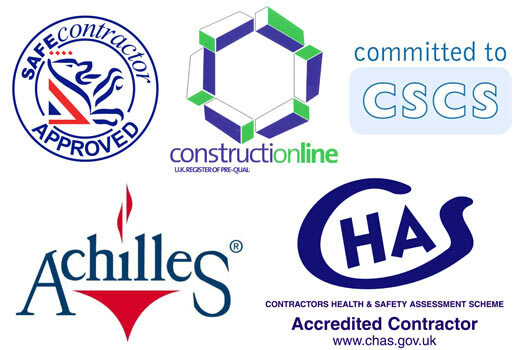 Maintained by Full Fat Designs. 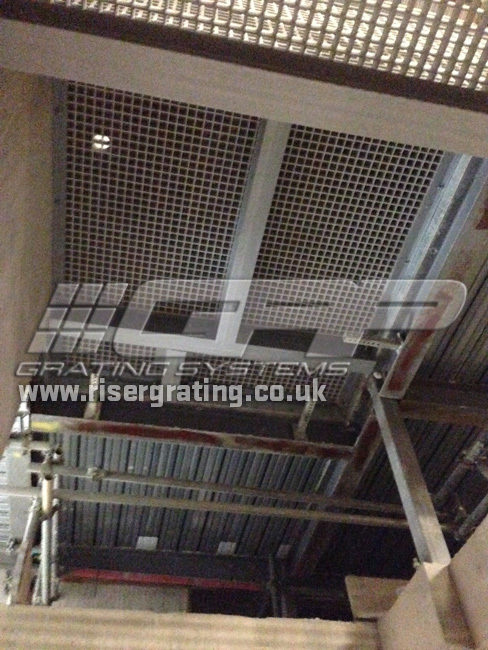 GRP Grating Systems (Office). 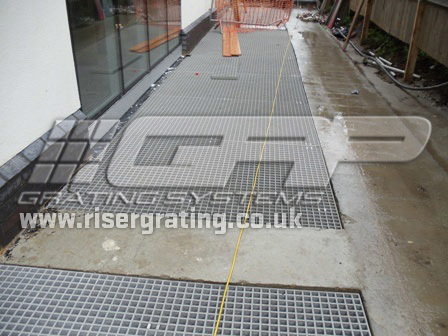 1st Floor, The Villa, Astley Hall Drive, Astley, Manchester, M29 7TX.